RC Helicopter Kit - Pre-Built vs Kit Build? Pre-Built / Ready to Fly vs. Kit Built. Deciding between an RC helicopter kit and building it, or purchasing a pre-built / ready to fly kit, is one of the first choices you are faced with when purchasing an RC Helicopter. Once again this is a choice that was not available several years ago. All RC helicopters were sold in kit form and you had to spend hours putting them together. Recognizing that people’s time is at a premium these days, some manufacturers started introducing pre-built or ready to fly (RTF) helicopter kits. I should point out again, this article is geared toward larger size collective pitch RC helicopters. Toy, and micro sized RC helicopters are all sold as pre-build/ready to fly. Larger helicopters are still mostly in kit form; however some manufacturers offer pre-built versions that have even been flight tested. That said, you will almost always get a higher quality RC helicopter when it comes in kit form for the simple reason, most kit builds are targeted to intermediate and advanced hobbyist's that want higher end quality. It is for example very rare that any experienced RC helicopter pilot would even consider getting a RTF model over a kit version. I know personally, I just wouldn't trust the build quality as I know for a fact I can do a better job for the simple reason I can take my time and focus on every little detail during the building & setup process. You will never get that same attention to detail on any RTF model! Most kit builds also allow you to pair/choose your own electronic components to install. Radio, servos, flybarless controller, ESC, motors, engines, batteries, etc. Once again, these components will usually be of much better quality and specifically suited to your needs, than what you get in a pre-built or RTF package. For those out there that have built their own PC's or gaming computers, you likely already have a very good understanding of the difference between off the shelf computers and ones you can custom build to suit your exact specific requirements. Well, the same basic principles of RC component selection hold true when building an RC helicopter kit. What you decide is the best RC helicopter (kit or RTF) is really a matter of individual preference and your particular skill set when it comes to putting things together and following instructions. Before you can know if a kit or pre-built is right for you, it's necessary to understand "what building an RC helicopter is all about". I actually get that exact question often when I am out flying and my answer is always the same – "building an RC helicopter is just like putting together a Meccano set." There can be for example hundreds of parts (on larger RC helicopters), and each one is important. Because of all the rotating parts, things have to be balanced correctly; helicopters always have some vibration so using thread locker on bolts and set screws is essential. 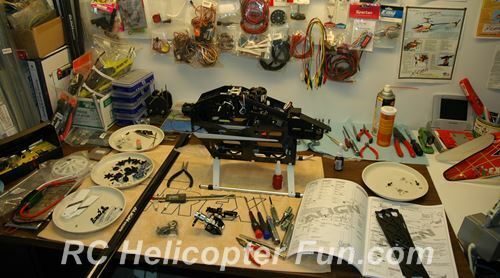 If you are curious just what is involved in a typical RC helicopter kit build, the video above outlines the basic assembly process on a typical collective pitch RC helicopter. 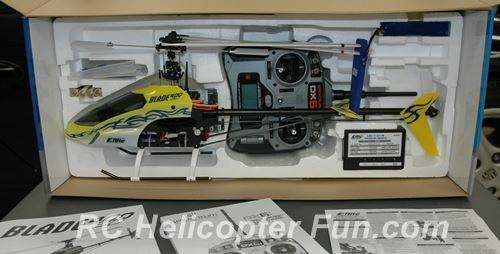 Most RC helicopter kits will go together in several hours depending on the builder's experience level; but getting the electronics and the heli setup correctly adds to that time. It can take just as much time, sometimes even more to get all that stuff installed and working correctly. Helicopters are potentially the most dangerous of all RC models. "Serious injury or death" seems to be the legal buzz phrase lately and it certainly is true with larger RC helicopters. Not building one correctly will add to that danger substantially. RC helicopter kits are not difficult to build, you just have to keep your wits about you and follow the instructions to the letter. None of this "I think this bolt goes here to hold the rotor blade on" and hope you are right. Finding out you were wrong as a razor sharp carbon fiber rotor blade flies off your helicopter at over 300 kph towards you or a spectator isn’t the kind of confirmation feedback you want to experience - trust me! 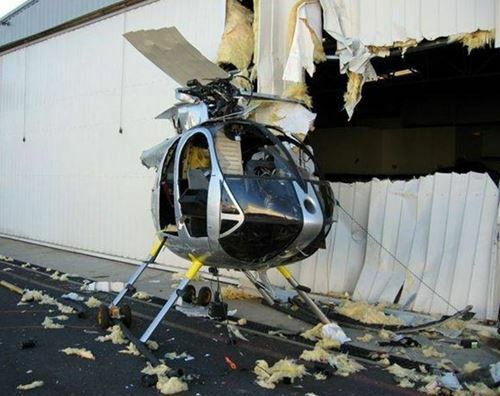 You also have to realize, even if you do get a pre-built kit, you will still have to perform maintenance on your helicopter or repair it after a crash. One way or another you will have to eventually pull up your sleeves and dive in. This can be intimidating if you don’t have the confidence to put it all back together correctly. If you already built the kit in the first place, you'll fully understand how to take it apart, repair it, and put it back together as good as new! That is the biggest benefit to building an RC helicopter from kit form. In fact, most of the questions I get from people when it comes to repairs or maintenance are all related to pre-built models. I rarely get such questions from those who built the heli from kit form - makes perfect sense. Well, have I just scared the *#@! out of you? That certainly was not my intent, but did want to express that this hobby is not for everyone. If you really dislike anything mechanical or working on stuff, this hobby is probably not going to be your cup of tea. That is not to say you won’t enjoy flying an RC helicopter, but just like real helicopters, for every hour or so you are up in the air, there is required shop time to keep everything running 100%. My personal recommendation for your best RC helicopter kit is to get a RTF if you don't like building. If you do like building however (for example are mechanically inclined or have RC truck/car experience), or are getting help from an instructor/experienced RC heli hobbyist, purchase a kit. This is the best way to familiarize yourself with each component and how every component works in relationship with the next. As I also mentioned, you will almost always get a better quality machine when you get a kit version & put it together yourself, or with the help of an experienced builder. As that video above shows, building an RC helicopter is an immensely rewarding experience, especially your first. You learn so much and when you see your heli flying with all those parts that you hand assembled – that is a very powerful feeling of accomplishment. Building a heli from kit form also really gets you passionate about the hobby since you have invested your own sweat equity into the process. All this ready to fly stuff as great as it is for beginners, is also preventing a good number of people from truly taking up the hobby, getting excited about it, and sticking with it. It's one of the biggest problems I currently see for the hobby of RC aviation in general these days. With no time investment or learning curve involved, there is really nothing to keep people engaged anymore. For me, building and performing maintenance on RC helicopters is actually more enjoyable than flying. I build and maintain to relax and have fun. The rewards come when I fly. It's a perfect balance. Building A 700 Size Heli Kit... So Much Fun! I recognize not everyone is the same. Many of you might be like me, but there are just as many if not more in this hobby who live to fly, building and maintenance are nothing more than necessary chores. This is where pre-built kits make sense. If you are stretched for time, don't like building, or are just not confident enough in your abilities at this early stage in your RC heli career; than an RTF or pre-built heli does make good & logical sense. I actually fall into this category when it comes to RC airplanes which I also fly (very occasionally). I really don’t enjoy building them. I don’t like gluing all the balsa together, I don’t like covering them – basically I just want to fly. For these reasons, I only purchase RTF plane kits now. The problem is they don't excite me like helicopters. Largely because I have zero time investment in their construction; it really is a double edged sword. I wanted to point that out in case you are like me and dislike the fussy building process when it comes to planes; you might actually really enjoy building helicopters. They are completely different. They are similar to RC cars and trucks in this respect so if you like building up RC cars and trucks, I can almost guarantee you will enjoy putting an RC helicopter kit together. Time in the shop or at the field – as long as you're having fun... who cares! 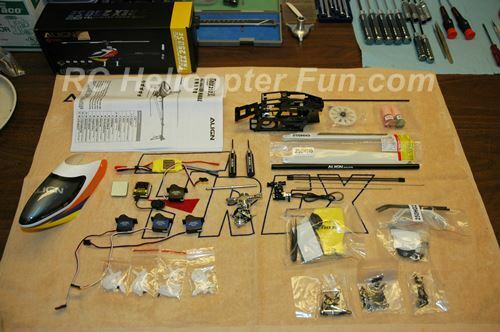 Let's finish this RC helicopter kit article off with a typical RC helicopter kit build summary video to give you a better idea of the steps involved and how fun this can be.